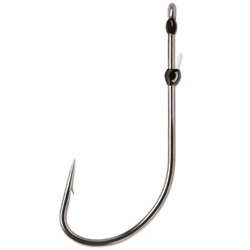 Perfect for many finesse techniques, including finesse drop shotting and finesse Texas rigging. Adjustable fluorocarbon keeper for versatile rigging. Smooth epoxy resin closes the hook eye to prevent line from slipping though.